NEW YORK--(BUSINESS WIRE)--letgo, a fast and easy way to buy and sell locally, today released a major update to its free and fastest-growing mobile classifieds app, which has been downloaded millions of times since it launched last year. The company added a cutting-edge, interactive feature called the letgo Commercializer, allowing users to instantly create customizable, Hollywood-style ads starring their own items. The ad lives alongside the item on the letgo app, and can be easily shared across a user’s social networks. Thanks to proprietary, groundbreaking technology, the letgo Commercializer helps users promote their listings by seamlessly incorporating the item for sale, its description and price into a hilarious ad that their friends will love. It uses a combination of state-of-the-art motion blur, image blending, motion tracking, color correction and rotoscoping technology to fully and realistically integrate a user’s item into the ads. 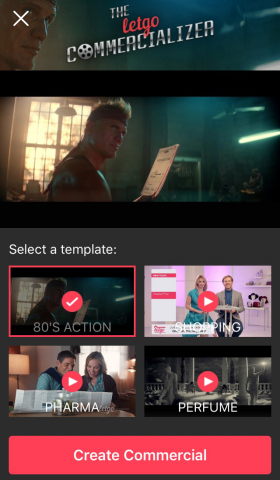 Directed by Matt Villines of Saturday Night Live and comedy directing duo Matt & Oz, the letgo Commercializer initially features four customizable ads, including an absolutely spot-on parody of a quintessential 80’s action blockbuster, starring Dolph Lundgren as a mercenary brought out of retirement to help save mankind. The other ads available at launch include extravagant spoofs of an over-the-top perfume ad where two loin-clothed models fight over the user’s item inside a Roman temple; a typically ridiculous prescription drug ad; and an absurd shopping segment featuring two bickering former-lover co-hosts. The company plans to add more customizable ads to the letgo Commercializer. 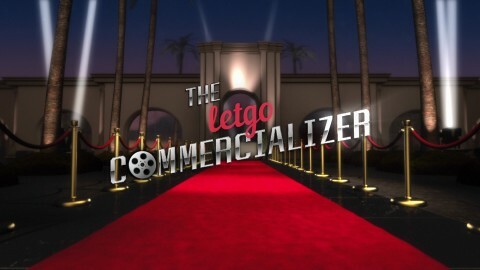 The letgo Commercializer was created by CP+B Miami, letgo’s global ad agency of record, along with production partner Tool of North America, which developed the proprietary backend technology. letgo’s free and highly-rated app is a fast and easy way to buy and sell used goods locally. The mobile marketplace allows users to post an item for sale and create a custom, Hollywood-style ad in seconds, plus browse what’s for sale in their area, and chat instantly and privately with other buyers and sellers nearby. Launched in 2015, the service has already been downloaded millions of times. letgo was founded in 2014 by Alec Oxenford and Jordi Castello, with Enrique Linares soon after joining as founding CEO. Oxenford, an expert and accomplished entrepreneur in ecommerce, previously founded and scaled global online classifieds leader OLX (co-founded by Fabrice Grinda), which has hundreds of millions of active users in India, Brazil, Poland and other growth markets around the world. letgo is headquartered in the Netherlands, with offices in New York and Barcelona. For more information, please visit www.letgo.com and download the letgo app for Android and iOS devices.